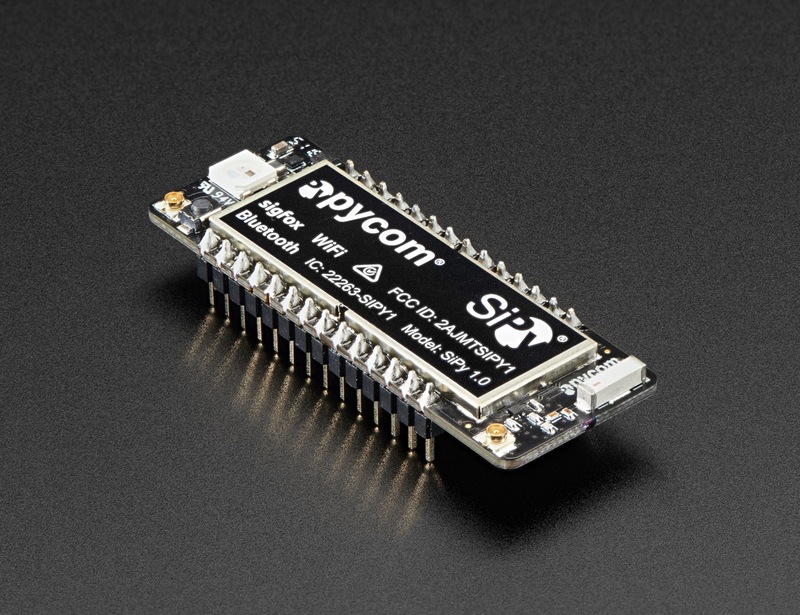 NEW PRODUCT – PyCom SiPy 1.0 – ESP32 WiFi, BLE and +22dBm SigFox Radio « Adafruit Industries – Makers, hackers, artists, designers and engineers! 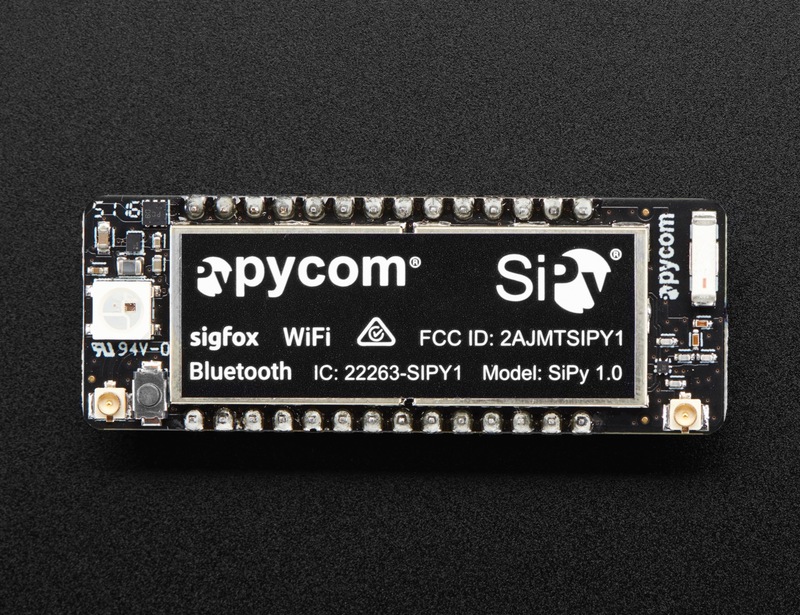 The SiPy from Pycom is a multi-network (Sigfox, WiFi and BLE) development platform. It’s programmable with MicroPython and the Pymakr IDE for fast IoT application development, easy programming in-field and extra resilience with network failover. The best blend of speed to deployment and access to new LPWAN networks rolling out across Europe, USA, Africa and India. You can also configure the SiPy in FSK mode to send packets directly from SiPy to SiPy. This way you can create the network configuration of your choice and then use another SiPy as central Nano-Gateway to forward the data to the cloud via WiFi. Pycom’s module is CE, FCC, IC and RCM certified! This is the 22dBm version for Sigfox Zones RCZ2 (902MHz – US, Canada and Mexico) and RCZ4 (920-922MHz – Australia, New Zealand, Latin America and SE Asia). 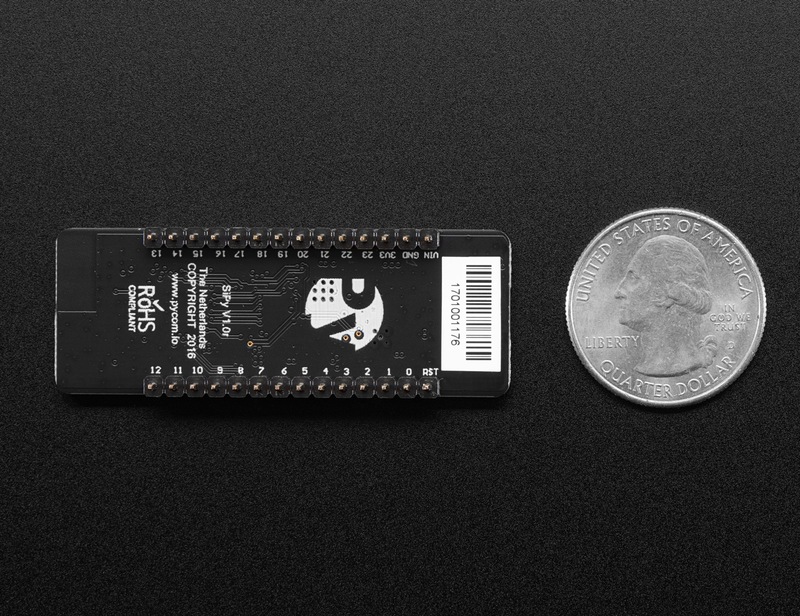 Please note: Pycom modules are powered by the new and feature-packed Espressif ESP32 chip. As a result, the firmware is evolving constantly as the ESP32 IDF matures. Regular firmware updates are therefore provided. Check out the SiPy tutorials at Pycom to see how fast it is to get going!